[German]During updating Windows 10 to Anniversary Update (version 1607) many users are hit by error code 0x80070057 and the installation fails. Here a few hints how to fix this update error. I’ve covered this error in several German blog posts (but for other context like backup). Decoding this error (see How to decode Windows errors?) shows it’s a Win32 raw error. And this HRESULT page from Microsoft says the error code stays for E_INVALIDARG (or ERROR_INVALID_PARAMETER) – invalid arguments/paramters. Empiric solution supposed to work for all devices. Disable LAN or WLAN connection immediately after the Anniversary update tool tells the veryfing download phase has been concluded (may be some conflict with Windows update routine). Worked fine for me on 5 different PCs. That should also help to fix error 0xa0000400. Changing the registry values listed below has been fixed this error in earlier cases (see reddit.com). The .reg-file shown below need to be imported in regedit.exe running with administrator credentials. Within this blog post another pair of registry entry within this key is responsible. The two values WUServer and WUStatusServer should be delted and the system has to be rebootet. This works in environments, where WSUS and group policies has been used and false WSUS server addresses are set. Another problem can be a failed write attempt to partition System reserved. I’ve had this case a few days ago during restore of a backup in Windows PE. Microsoft has published KB2476568 with instructions how to delete partition System reserved and create a now one. 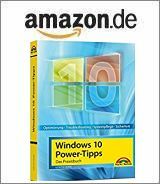 In German Microsoft-Wiki I have mentioned also other approaches: reboot Windows, try a safe boot to install the update, use LAN instead of Wi-Fi. Microsoft has also KB 982736 dealing with this error code during backup in Windows 7 and provides a registry hack to avoid this error. But I don’t believe that this will fix this error in Windows 10. If that doesn’t work, use the Media Creation Tool and build installation media (DVD or USB stick). Then try to install the Anniversary Update executing setup.exe from Windows 10. If that fails, boot with the install media and try a clean install of Windows 10 Anniversary Update. Within this MS Answers forum thread PaulSey… from Microsoft wrote, that MS has fixed this issue in Windows 10 Anniversary Update. If you were experiencing this issue, please re-run the upgrade from your desktop shortcut (Windows10UpgraderApp.exe). If you don’t have the shortcut, try updating again by going to theSoftware Download Page and clicking Update Now. This entry was posted in Update, Windows and tagged error 0xa0000400, Error 80070057, Update, Version 1607, Windows 10. Bookmark the permalink.